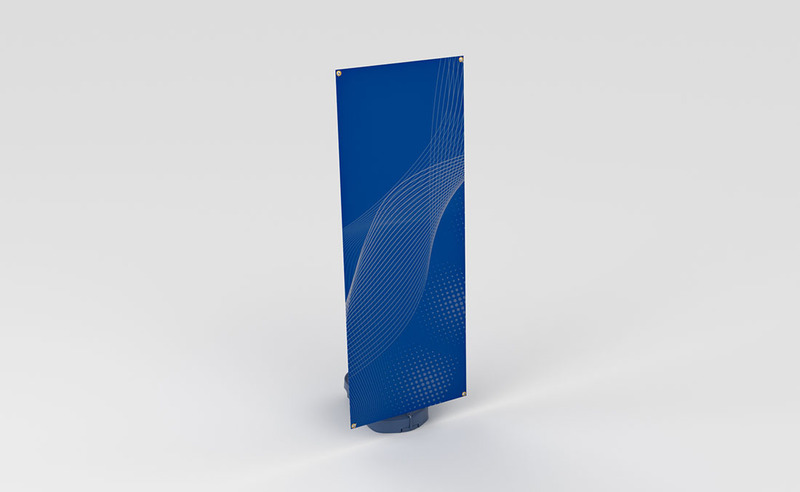 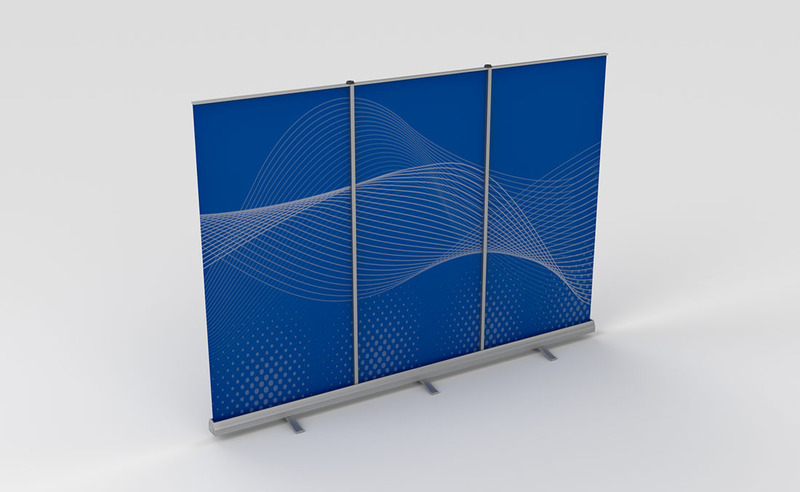 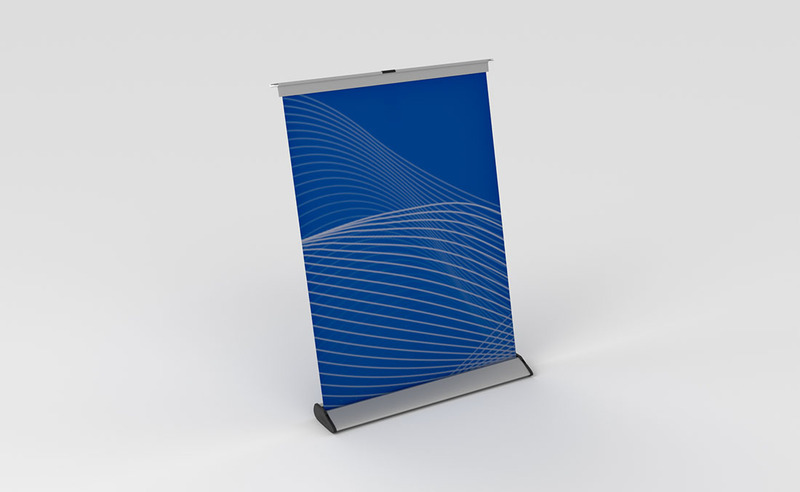 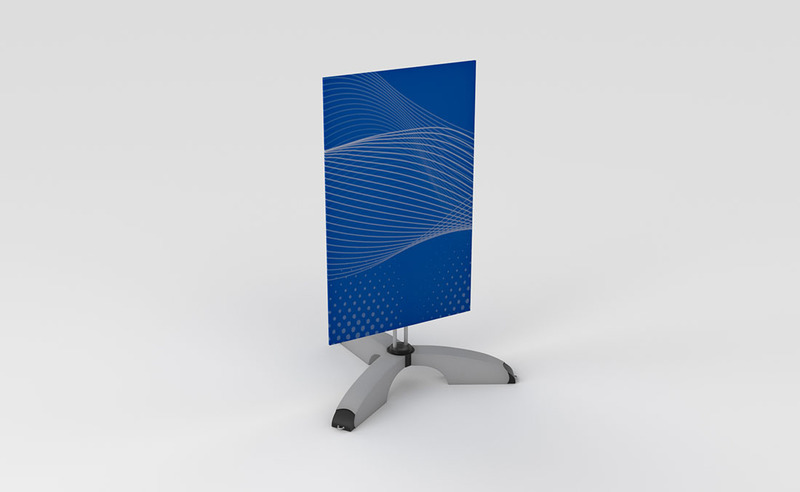 Collapsible double-sided graphic banner with stand and carrying case. 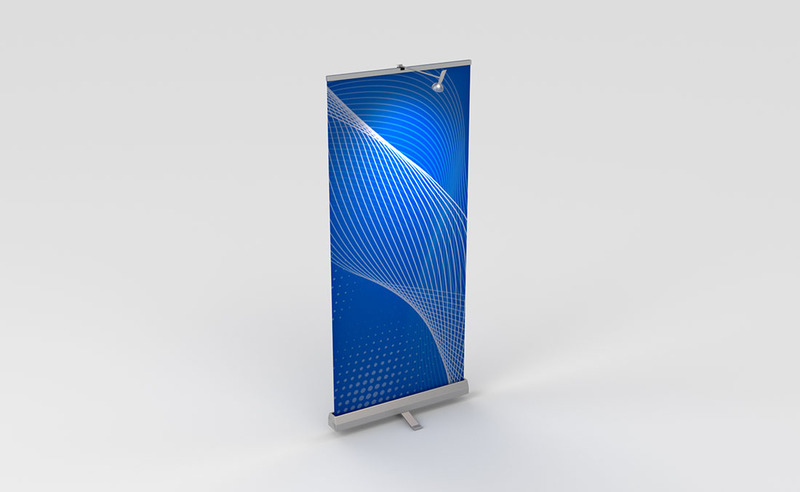 Overhead lighting. 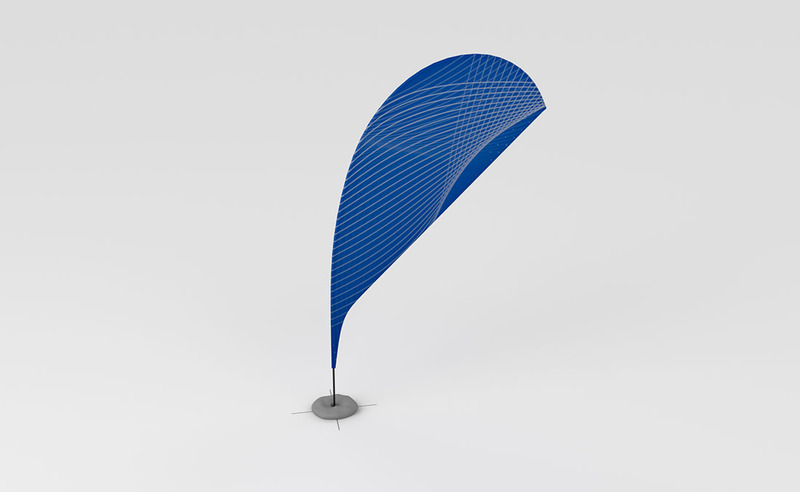 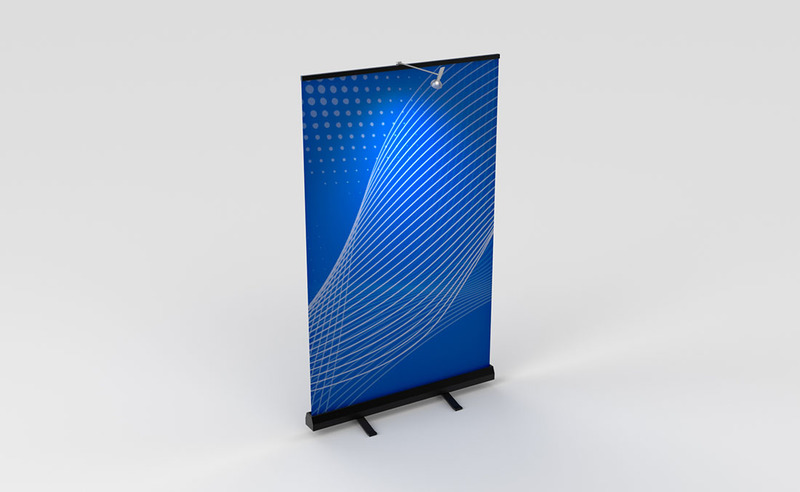 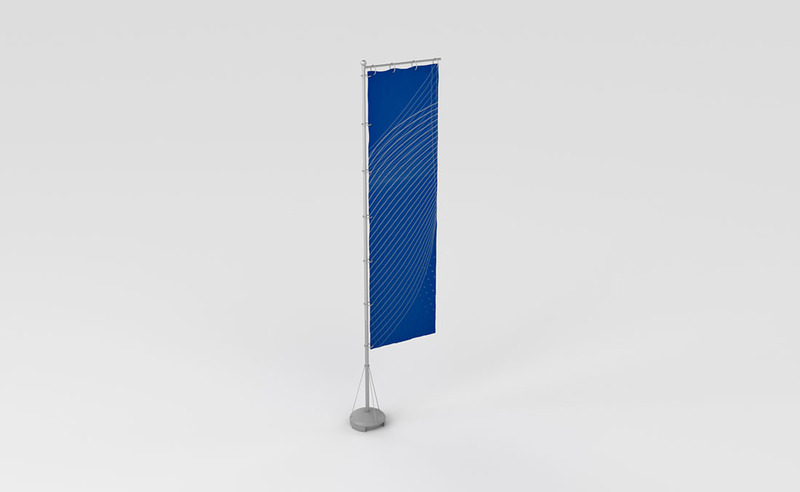 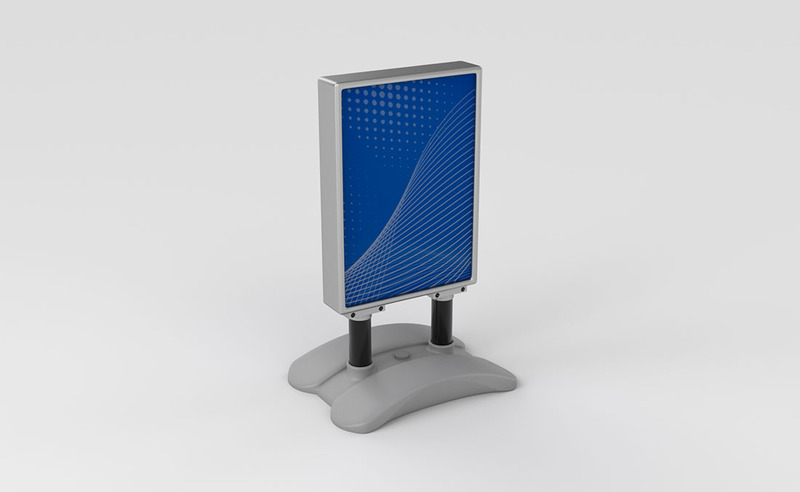 Features include: graphic banner, banner stand, top lighting, carrying case, collapsible.